Below is an article originally written by Zoe Revis at PowerToFly Partner Netskope, and published on September 13, 2018. Go to Netskope's page on PowerToFly to see their open positions and learn more. In this Life @ Netskope, we talk to Andrea Schreiner our Central Channel Sales Director out of Frisco, Texas. In her two years at Netskope, Andrea has made a huge impact with the Netskope field and channel teams covering the Central US area. Outside of Netskope, Andrea spends her weekends between the softball field cheering on her oldest daughter and her youngest at the horse barn. If you have spent much time with Andrea on the phone, you have probably heard her four-legged child Sprocket in the background. What made you choose Netskope? I have a funny hiring story. Mike Burnett, who was a Regional Sales Manager at the time, had talked to me a few times about coming to Netskope and timing was never right. A few months later, I met Gary Ochs, VP of Channel Sales at the time, at the OH airport, we started connecting the dots on Netskope, his open position and it being the company Mike Burnett had been calling me about, the timing was perfect! Gary and I both boarded our separate planes texting Mike and two weeks later I had an offer letter. It was a right place, at the right time situation. Once I started the interview process and learning about Netskope, the product, the people, and the culture, I knew Netskope was the place for me. What's your favorite thing about Netskope and why? My favorite thing is the culture, the people and how everybody works well together as a team. Whenever I interview people for potential jobs at Netskope, I don't want to sound cheesy and oversell it, but I talk a lot about how amazing the culture is here. Everybody at Netskope collaborates and helps each other in order to accomplish our main goal, which is to see Netskope become the next iconic security company. Working from home, how do you stay connected to HQ and your team in the region? As someone who works remotely, Netskope makes it so easy to stay connected through Slack, (which I am still learning). Everyone is so receptive, you never have to worry about being stranded on an island. I really enjoy Chris Andrews, our SVP of Sales bi-weekly calls with the worldwide sales team. It's a great way to keep up with what is happening at HQ and learn about our newest products. Our Central US team also has a call every Monday where we share updates in the territory, and best practices. 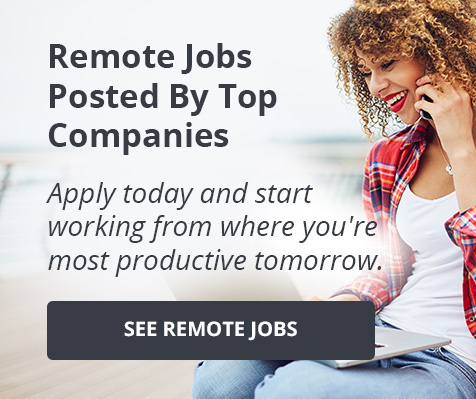 What advice would you give to someone starting a remote position at Netskope? My advice would be to learn your resources at corporate, do a good job of getting them out in the field and make lasting connections with the members of your team. I support eight different sales/sales engineering teams so I make sure that I am communicating with them almost every day. In a company where most everyone is remote, it takes work to keep a great culture and I feel like Netskope has done a great job in this area. If you could only watch one TV show for the rest of your life what would it be and why? Oh, that's a hard one, I'd have to go with This Is Us. It's a great storyline and it seems as if it is a real family going through heartache and happiness and working together. It's a rollercoaster of emotions but it also has some great lessons.